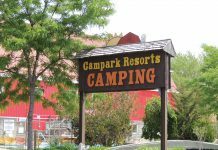 Bunkhouses For The Ultimate Family RV Vacation! 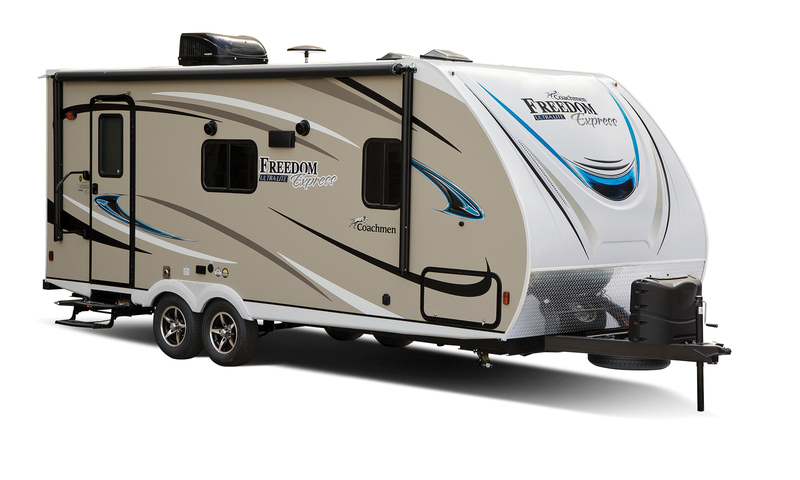 The Freedom Express 257BHS is an excellent family travel trailer. 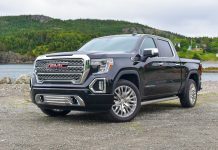 At 5263 pounds, it’s better suited to families with a large SUV or a pickup truck, but it’s got plenty of great features and a very functional layout. The forward sleeping area is separated from the living compartment with an entertainment centre featuring a large flat-screen TV that swivels 180-degrees, so it can be viewed from the forward bedroom. 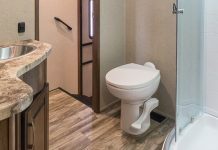 The entertainment centre is flanked by a pair of pocket doors that completely close off the sleeping area, giving the Freedom Express 257BHS more privacy than your average 26-foot bunkhouse travel trailer. 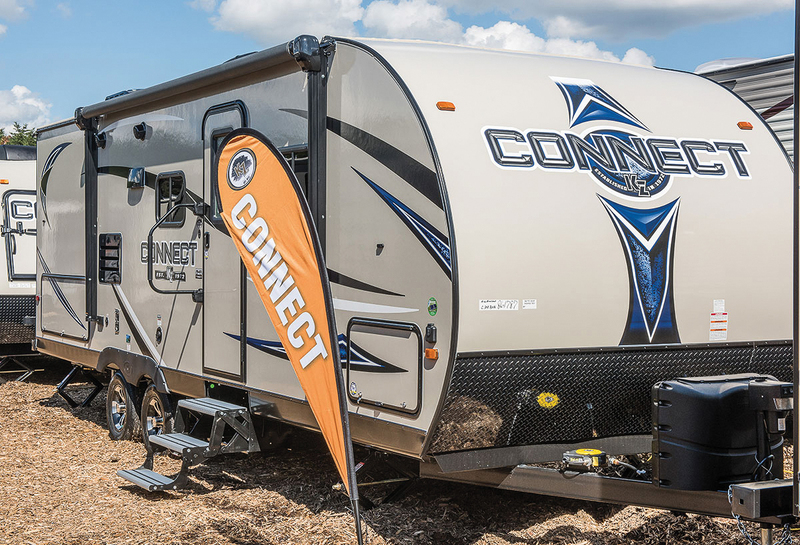 Tipping the scales at 5120 pounds dry, the KZ Connect C241BHK is heavier than other trailers of its size, but it also has more features. Starting up front, this unit has a full 60×80-inch bed with plenty of storage and dual hanging wardrobes. KZ also outfitted this model with a solid divider and pocket doors offering increased separation between the sleeping and living areas. The C241BHK has a large 80-inch U-shaped dinette in a slide out, providing plenty of space for the whole family at mealtime. You can also take mealtime outside, as this model is also outfitted with a complete outside kitchen equipped with a fridge, stove and sink. The 14-foot awning will ensure everyone stays dry if the weather turns. Keystone is one of the few manufacturers that equips their smaller travel trailers with a full 60×80-inch queen-sized bed, and that’s just one of the many standout features of this 28-foot bunkhouse. There’s also a fully equipped outside kitchen and plenty of storage. The extra 6” of mattress is a welcome addition if you’re a taller individual, but it does mean sacrificing a dedicated sofa. With the central entertainment cabinet and large U-shaped dinette, there’s no room in this floorplan for more seating. If you want both the 80-inch mattress and a sofa, you could easily step up to the Passport 2670BH. The 2400BH has a dry weight of 4,730 pounds, meaning it’s a suitable trailer for a wide range of tow vehicles. 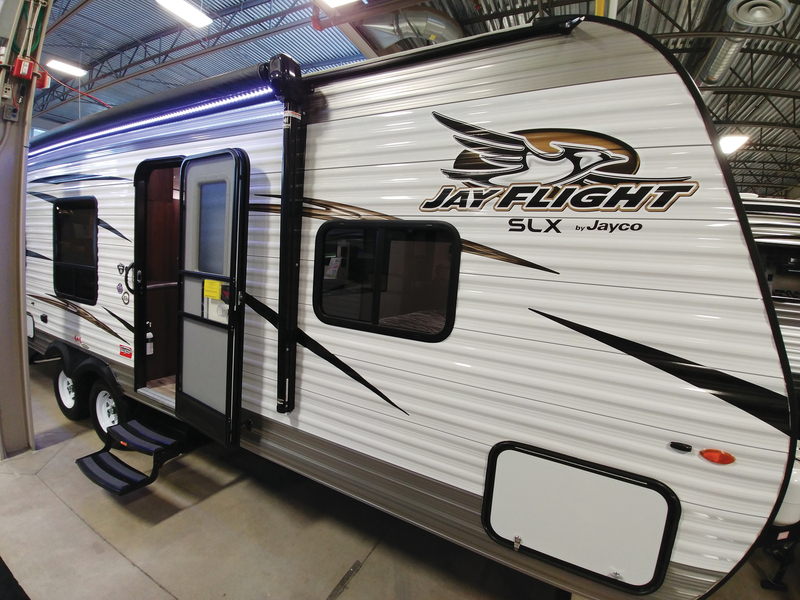 The Jay Flight 26BH is an upgraded version of Jayco’s very popular SLX 264BH. 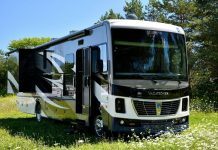 The models share the same floor plan and both ride on Jayco’s custom-built steel chassis with its integrated a-frame hitch. There’s no slide out, which helps reduce weight, so this trailer comes in at just 4855 pounds, meaning it’s a suitable trailer to tow behind your family SUV. The interior is a familiar layout with a queen-sized bed up front and double-over-double bunks in the rear. The living area features a full galley, dinette and a sofa. The bathroom sink is located outside the head compartment for added flexibility. 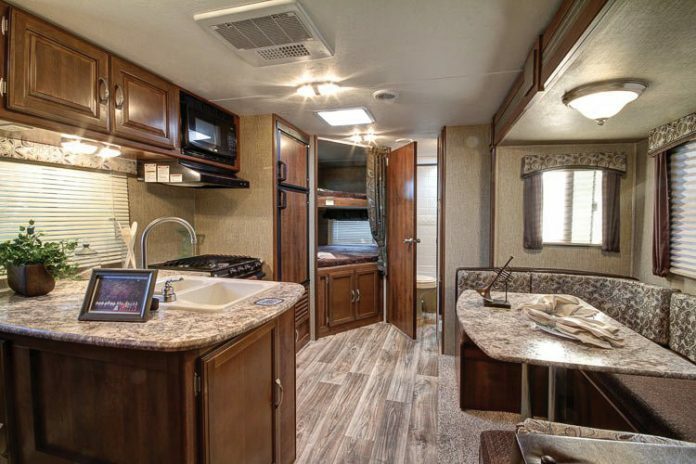 The 26BH includes the mandatory Elite package, which offers some excellent upgrades over the 264BH, including a large 8-cubic-foot refrigerator, stainless steel microwave, a 60/40 sink with pull-out faucet and an additional 80-gallon freshwater tank. 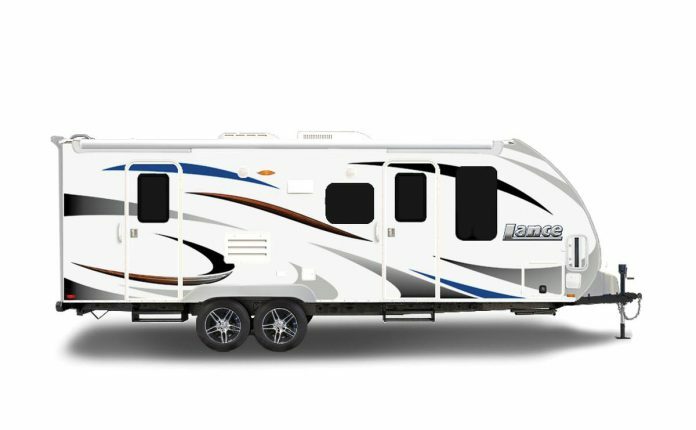 The Lance 2185 is truly a standout family bunkhouse travel trailer. The material selection, fit and finish are second to none in the segment. 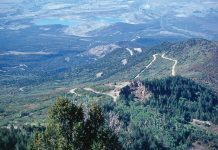 Lance builds one of the highest quality travel trailers in the market. The 2185 also features some unique design choices that increase functionality over the competition. Lance left the area under the bottom bunk open, allowing the space to be used as a third bunk. The third mattress is included. The slide-out dinette also converts into a large sleeping space, meaning this 25-foot unit can sleep seven people in comfort. The 2185 can be equipped with a forward bed that folds up, revealing a sofa to increase the seating space, while not blocking the window in the front bulkhead. The Lance is heavier than comparable models, but at 4380 pounds dry, it’s still easily towable with most mid-size SUVs. 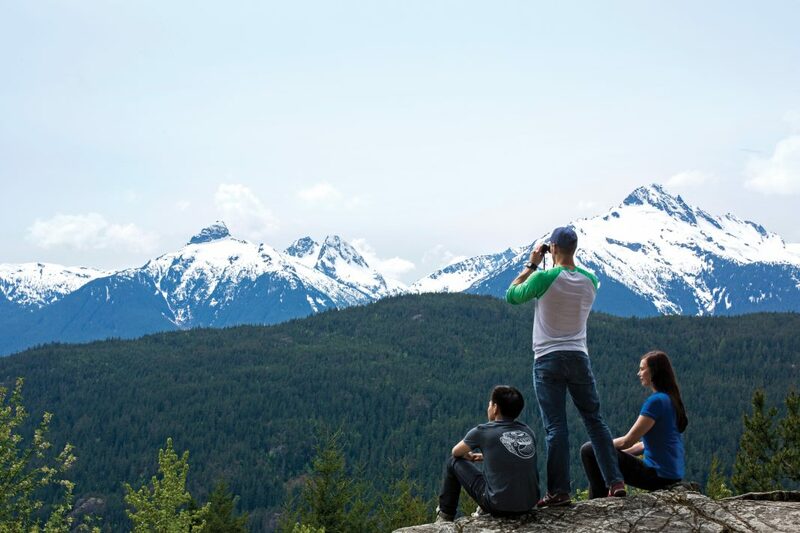 Starcraft offers several floorplans in their Launch Outfitter series. 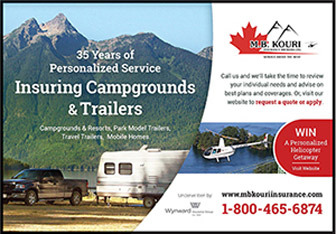 The 24BHS stands out from other models, as not many smaller bunkhouse travel trailers have a second door. The rear door on the 24BHS leads directly into the bathroom, a welcome feature when you’ve got a little one dirty from playing outside that suddenly has to go! They won’t be tracking mud and dirt all the way through the trailer on their way to the bathroom. 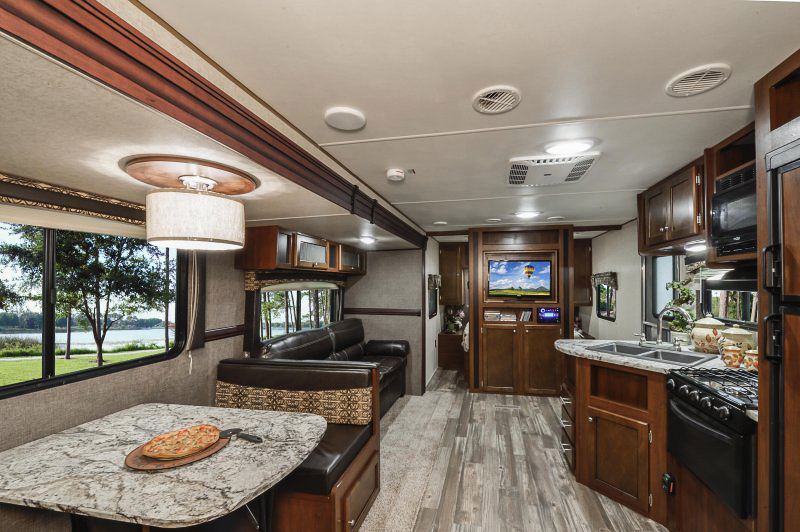 The 24BHS also features a U-shaped dinette in a slide out, a central entertainment system and double-over-double bunks that allow this trailer to sleep up to eight people. 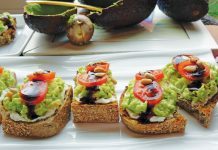 The galley is fully equipped with a three-burner stove, oven, fridge, microwave and sink with a high-rise faucet. 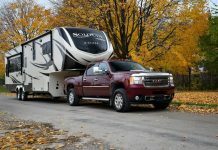 A dry weight of 5,415 pounds, puts this travel trailer within the towing capacity of a larger SUV. 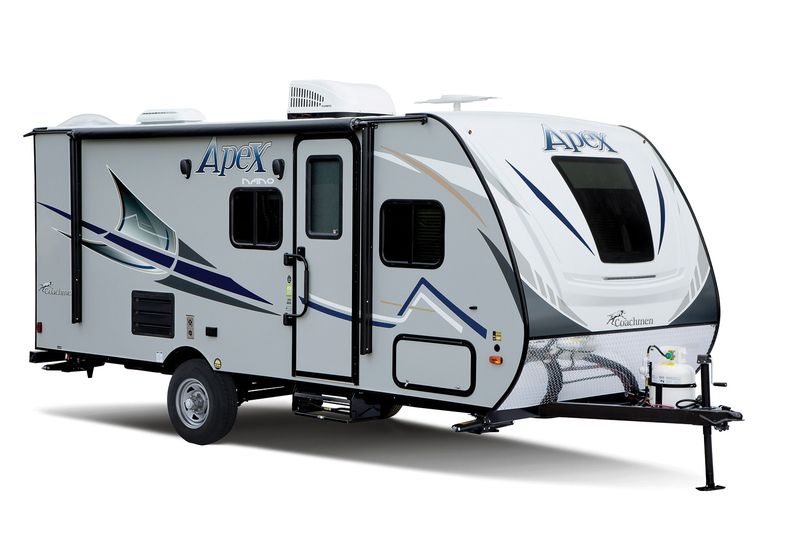 The Apex Nano 193BHS is only 22-feet long, but Coachmen has packed a ton of features into this model that you won’t find in many other small trailers. The construction is aluminum frame with Azdel composite walls. The Nano weighs in at only 3496 pounds dry. 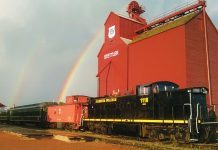 Inside, the forward bed is a full-size 60×80-inch queen. The headboard has a built-in power outlet and storage. The single slide out features a dinette that will seat a family of four comfortably. 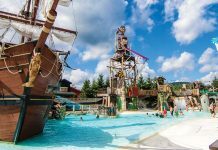 The galley is equipped with a 60/40 split sink, a two-burner stove and a microwave mounted in place of an oven, meaning it’s within easy reach for the kids. There’s a full two-door fridge/freezer and plenty of cabinet space. 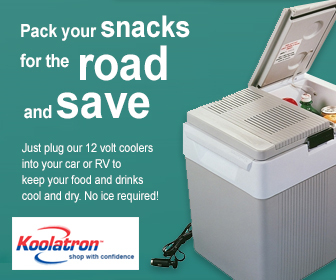 You won’t find many small bunkhouse travel trailers with this much functionality. 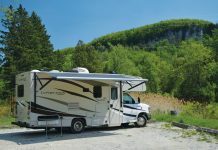 Heartland RV’s Trail Runner 27FQBS is a feature-packed bunkhouse travel trailer with plenty of room for the whole family. The driver side of the unit features a large single slide out housing the dinette and a two-seat sofa. The forward bedroom has a set of pocket doors for privacy and features a queen-sized bed, flanked by a pair of hanging wardrobes. An overhead shelf on the forward bulkhead add additional storage. Official sleeping capacity is listed at seven, but depending on the size of your guests, this model could accommodate up to 10 people. At 6,081 pounds dry weight, this 31-foot unit is better suited for a large tow vehicle. Forest River’s Salem Cruise Lite 230BHXL may only be a 25-foot travel trailer, but thanks to an innovate use of space, it’s very functional. The queen-sized Murphy bed up front converts into a sofa for more entertaining space. 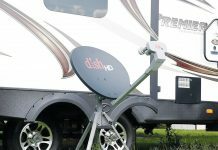 The U-shaped dinette is tucked into a slide out leaving a large amount of space in the centre of the RV. The rear single-over-single bunks are perfect for the kids. The galley features a dual sink, fridge, stove and microwave, but the standout feature is the walk-in pantry. There’s a lot of storage space packed into this smaller trailer. The dry weight is 4,941 pounds. There are few vehicles on the road as iconic as an Airstream. 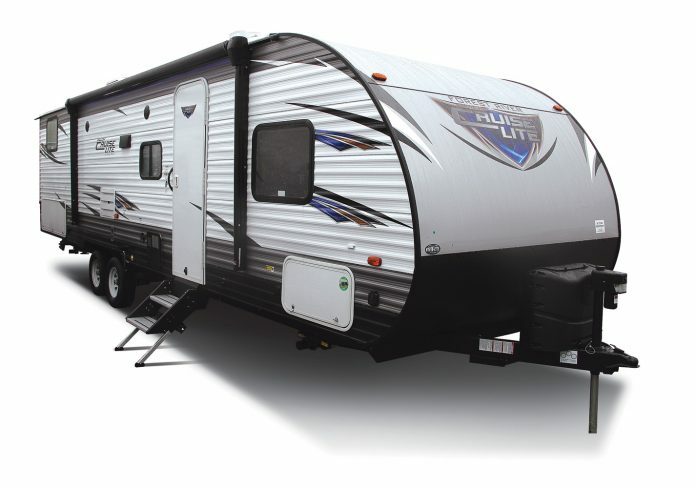 The gleaming aluminum and smooth curves have been a mainstay of the RV industry for decades. 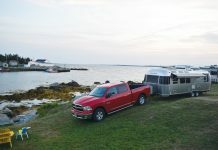 The Flying Cloud offers the most floorplans of any Airstream product, and the 30FB is the perfect choice if you’re looking for a no-compromise bunkhouse travel trailer. It has a queen-sized bed up front and a single-over-double bunk in the rear. A U-shaped dinette sits opposite a 72-inch lounger. Both convert to sleeping space, meaning eight people can overnight in this trailer. With batteries and propane, this travel trailer weighs 6,557 pounds, but its aerodynamic shape makes it an easy tow. 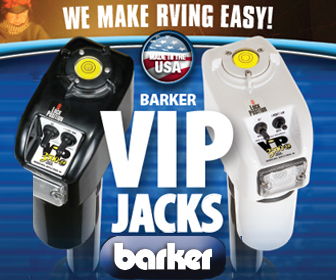 New Brunswick’s Largest RV Show & Sales Event Opens Tomorrow!